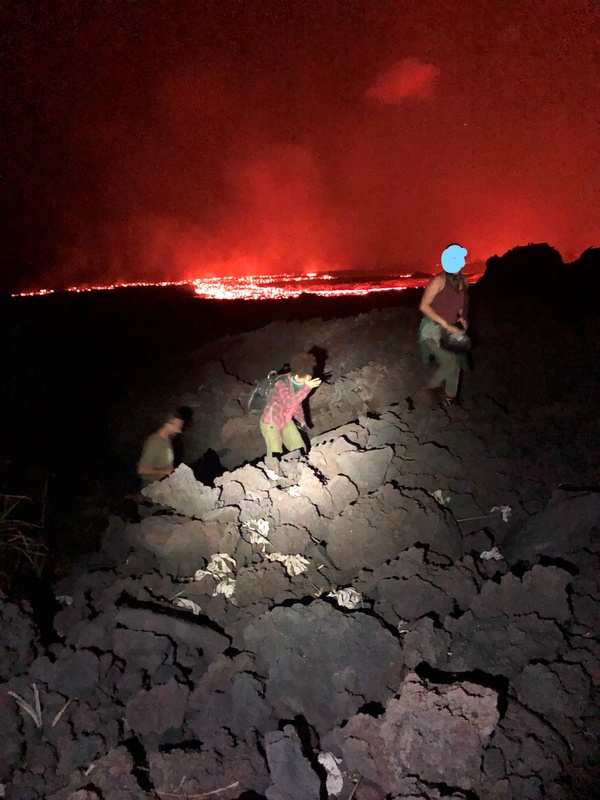 (Hilo) – In the last few weeks an additional eight people have been cited for loitering in the East Rift Eruption Zone – seven of them in the last 24 hours. At around 8:15 last night three people were cited by DLNR Division of Conservation and Resources Enforcement (DOCARE) officers. DOCARE reports the trio was standing on hardened lava near Railroad Avenue and Papaya Farms Road. Officers indicate the people were about sixty feet from the active lava channel. Cited were 49-year old Malaika Maphalala of Pahoa, 41-year old Ralph Unger of Pahoa, and 18-year old Kumsa Maphalala of Pahoa. Then early this morning a USGS field crew using a drone to map the lava flow reported to Hawai‘i County Police that they’d spotted an unauthorized drone circling Fissure 8 and then flying back toward Lava Tree State Park. County police along with DOCARE officers searched the area around the park and didn’t find anyone. They continued checks on Forest Road and in Nanawale Estates and found a vehicle in front of a barricade. Officers ticketed the vehicle for obstructing traffic and numerous equipment infractions. Later four people were located inside two barricaded areas where they were cited for loitering in a disaster zone and a drone in the possession of one individual was confiscated. Cited were David and Sunnee Bishop, both 40-years old, of Hong Kong and 42-year old Burke Holbrook and 43-year old Nancy Holbrook both of Honolulu. On July 15th, 27-year old Aaron Spicer of New Hampshire was cited after he allegedly circumvented a checkpoint on Highway 132, went past several coned-off closed roads and a cement barricade to enter Lava Tree State Park. Officers say he was on a motorcycle and was also cited for having an expired safety check. Since the beginning of the current eruption in early May, nearly 90 people have been cited. Under an emergency proclamation from Governor Ige, potential fines and jail time for anyone convicted of loitering in the eruption zone could be as high as $5,000 and one year in jail.